General observation from the console-world (PS4): aside from all of the dead horses beaten to death on this forum, the other MAJOR contributing factor to the demise of this game is... the brain dead players in this game. I’ve noticed that in general the players aren’t as team oriented as in other installments- worse than BF1 and about as bad as BFHL. Either way, I think DICE overestimated the player base’s aptitude for teamwork and awareness. Most people have their heads way up their ... and that is just salt in the wound and too bad. I have to agree with this, if it is anything beyond charge at the enemy you are probably out of luck. Tanker gunners telegraphing your position non stop when there are no enemies, driving your carefully positioned transport directly at the flag - killing everyone board, not playing roles - no medpacks, ammo or spotting, not rebuilding tank stations, spawn on you - give your position away by firing at nothing - then charge off, build every fortification before abandoning a point - giving the enemy an advantage, standing right next to you - so you cant move.. etc, etc.. It might be squad focused but the players encourage lone wolf gameplay, the main advantage of being in a squad of randoms is the increased spawn points, beyond this they are probably more of a liability. I feel like there should be a ptfo meter- if you’re camping / sniping and not hitting a min SPM, then you should be prompted to play a different game mode. “Hey half-wit, I’m noticing that you’re not PTFO, how about playing a different game mode? Hit X to go to ...” Dip-wad player gets matched with a game more suited to his oblivious play style and a spot opens up for a PTFO player. Problem solved. Well the casuals flooded the series long time ago. Clueless people do not surprise me anymore. I think I end up in a decent squad like once per week these days. A true team player this.... Even whining on the team(s) at the forum. My indications of good team players are those who help the team by their way to play and sometimes by helpful (but friendly or neutral) tips in the chat. Not those who constantly go on and on whining about how bad their team is. These are just players who essentially want to be carried while they maximize their own score and K/D. The classic is 'bye useless team' followed by a quit and a new player coming in -> team starts winning. Starting with your own squad one can actually quite often teach players to play better. Some are noobs and needs the 'lesson' and some just forget things like putting down a beacon or launching the V1 rocket. Friendliness takes you a long way here I have noticed. Basically just replace cursing with 'please' and wonders start to happen (sometimes). I admit also get annoyed at my team mates sometimes (primarily in Frontlines for some reason) and burst out in childish ways in the chat but it does not mean it is a good thing, we can all improve. You should see the idiots on PS4. Most don’t have/use mics and are sniping or parking tanks at the spawn. Medics don’t revive and nobody PTFOs. LOL it’s like you’re describing a totally different game. BFV is plagued by zombies plain and simple. And that effect is amplified due to how this game is built on squad-play, which doesn’t work well when you have brainless teammates. Yup. 1x or 2x a week is about the frequency my friends play this game now. Sad. True. Same is happening on PC. Most people right now are just camping away with their MMG or a sniper rifle surrounded by A million AP mines. Nobody is reviving, idiots get into your tank and start firing MG like a stupid idiots they are giving away your position. Players in general are being utterly trash. I'd say over 90% of players on the server have k/d less than 1 and flag capture per game of 1 or 2 and only because they ran pass by it when I was capturing it. Camping had really ruined the game for me. I think BF5 managed to dethrone previous champion in "max amount of campers per square meter" which was Cod MW2. And people came up with this BS excuse of "defending flags". Bltch you ain't defending nothing, you're being useless noob waiting to be killed. Jesus. I’ve come across multiple servers where half my team was sniping from our spawn. The other half were camping with lmgs or parking their tanks in our own spawn. I just turned off of the game. It’s gotten really bad. Well DICE wanted to increase the player base and that meant bringing in more 'casual' players who are maybe used to more solo Rambo styles of FPS games. So that's where we are at. DICE/EA are hardly going to create a game that appeals to less players unfortunately. Agreed 100% percent, I was about to start a similar thread. There are still annoying bugs and poor design choices but nothing kills the fun in this game quite like clueless team mates. A typical play session will start with server hopping until I find a decent squad to play with, or get tilted and lone wolf it. By "decent squad" I don't mean the top players on that server, just a squad that makes an effort to work together but sadly that's like finding a unicorn. But BF5 is completely opposite. Shave my head and call me a hedgehog if I ever see my team or players of my team going Rambo mode and rushing the objective. Normally everyone takes 1 or 2 flags and begin to camp them because they're afraid to come out and face the enemy. My battlefield mentality is get behind them and shoot them in the back. Every mode every time. I gave up caring about the win when they introduced the between rounds auto balancer and ruined my 80% win rate by switching me to the losing team every second game. Don't get me wrong I will go for the win but I won't break my back to get it done anymore. And the between rounds auto switcher is still a thing if you are not in a squad you will often get switched between days in GO. This is nonsense. After BF2 on pc, which had solid squad play, attrition like bfv, voip commander for instructing squads, they then made Bf3. This was when it turned into super dumbed down casual (in comparison to BF2) to have mass appeal on console,unlike BF2 which was console only till years later. 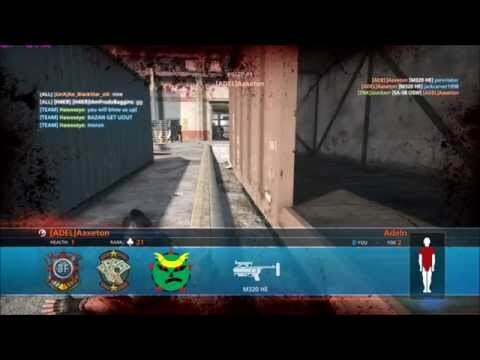 In bf3, it became that you could play the whole game lone wolf, squads only useful for spawning to the action quicker and all at more frantic pace. WHY Change it so much? - it was designed to capture cod players at this point in the series. Going back to BF2, not only was it a more difficult game to master, you had project realism mod if you wanted a proper military sim like experience and it made you realise BF2 was still pretty casual. I guess none of you noobs were old enough for BF2 and realise this. I'm just tired of people claiming its gone casual all of a sudden because of bfv. How so? What's different? The only thing I can think of is the squad stuff you can call in and thus you need basic teamplay to get some points. Apart from that, I don't see how this title requires more teamplay. With the horrible balance and the short TTD, I see myself forced to care only for my own digital life more often now. They talked about more teamwork as part of the marketing, but there's not much to encourage it in game. - Supply stations mean that you won't be relying on team mates for ammo or health. - The med and ammo crates being hard to see and needing an animation discourages players from equipping them. - Giving the medics guns that aren't viable on a lot of the maps has killed the class. - Slow revive animation in a fast TTK game makes the squad revive too risky in a lot of situations. - Giving the assault class the best guns means lots of people will just pick that and focus on kills and ignore any squad role. I wouldn't pretend that the last few games have been huge teamwork successes, I can remember entire teams on wookie mountain in BC2, but this game isn't even trying to improve things. The gunplay of BF5 is braindead in itself too, so kindof obvious who will attract to it.